After the Swim Meet commences, Warm up / swim down will be in Lane 8 only, of the end not being used for competition. More lanes may be available at the discretion of the rostered Safety Officer. · This is a short course event, including postal events, to be swum in a 25m pool. · Entrants must be financial members of Masters Swimming at the close of entry for this meet (Friday 22 February, 2019) unless entering as a one-off GUEST competitor. · A Guest Swimmer must send a clear, scanned image of their Driver’s Licence to nominations.qacmasters@gmail.com by close of entry (as per MSQ Rules for Conducting a Sanctioned Swim Meet, January 2108. This will be forwarded to the MSQ Recorder). · Multi-class swimmers are invited to nominate under their relevant classification. · The 25m pool (outdoor) is located at the Albany Creek Leisure Centre, Corner Old Northern Rd and Explorer Dr, Albany Creek. Parking is available in surrounding streets only. Food and drinks are available at the kiosk. Some shade is available, however shade shelters from visiting clubs are welcome. · The pool has been surveyed for record purposes. · Each entrant may swim a maximum of five individual events which may include no more than one postal event. · An entrant must swim one individual event to be eligible for relay events. · As an environmentally aware club, QAC will provide limited paper copies of the program on the day. An electronic version will be available in the week prior to the swim meet for you to download. · 8.45am warm up. Prior to the start of competition, warm up is in both 25m pools. Warm up and swim down during the meet will be in Lane 8 of the 25m pool not being used for the competition. More lanes may be available at the discretion of the rostered Safety Officer. · Multi-class swimmers – there will not be separate heats for Multi-class Swimmers but results will be according to their classification. · Medical Disability Certificates must be given to the Meet Referee before 9.00am. · Record attempts must be advised with nomination. Please email. · First Aid Officers will be in attendance. · Massages available at $5 for 10 minutes under the covered area beside the raffle table from 8am. · Great raffle prizes and a money board will be on offer during the Meet. · Presentation of awards and BBQ will be at the conclusion of events (approximately 3.00pm). · Postal events (either one 200m event or one 400m event) must be swum in a 25m pool between Saturday 19 January and Sunday 17 February, 2019. The Postal Entries Summary Sheet and the Individual Postal Time Sheet are available on the MSQ website. 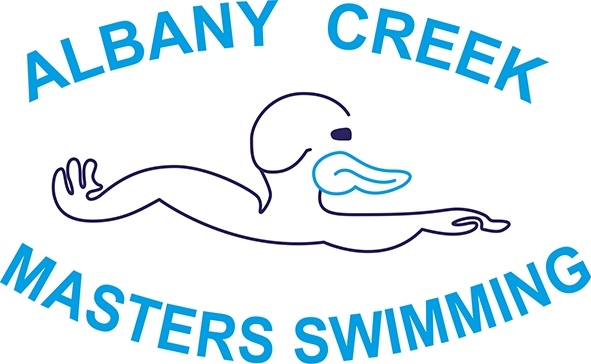 · The Postal Entries Summary Sheet (for club entries) or the Individual Postal Time Sheet (for individuals not nominating through a club or Barbarians) must be received by the Albany Creek Club by Friday 22 February 2019. Please e-mail, we will acknowledge receipt of your forms. · Individual Postal Time Sheets of those entered on the Summary Sheet must be given to the Meet Director at the Announcer’s Tower before 9.30 am on Saturday 9 March 2019. · No late postal entries will be accepted. No exceptions. · All relay teams to be nominated by Friday 22 February 2019 via Entry Manager. · Relays will receive double individual points for the club score. · Only one relay team per age group per club. Teams to ensure all swimmers are at the marshalling point. · Late changes to team members only within the nominated relay age group must be submitted to the Meet Director by 10.30am on the morning of the Meet. The final list of swimmers for each team will be made available. · ALL ENTRIES to be submitted electronically via Entry Manager (use Member Forum of the Masters Swimming Queensland website). · This includes Relay Event nominations and Postal Event Official Times. · Entries close FRIDAY 22 FEBRUARY 2019. Late nominations or nominations without fees will not be accepted. Swim only – $25; Swim/meal (steak burger and drink) – $35; Non-swimmers -$10 for a meal. · Should be paid directly through Entry Manager using PayPal or a Credit Card. Please note that once you have entered will need to click on PayPal and this will allow you to enter a Credit Card number even if you do not have a PayPal account. Preferred method of payment please.